Many of you will know, but great news! 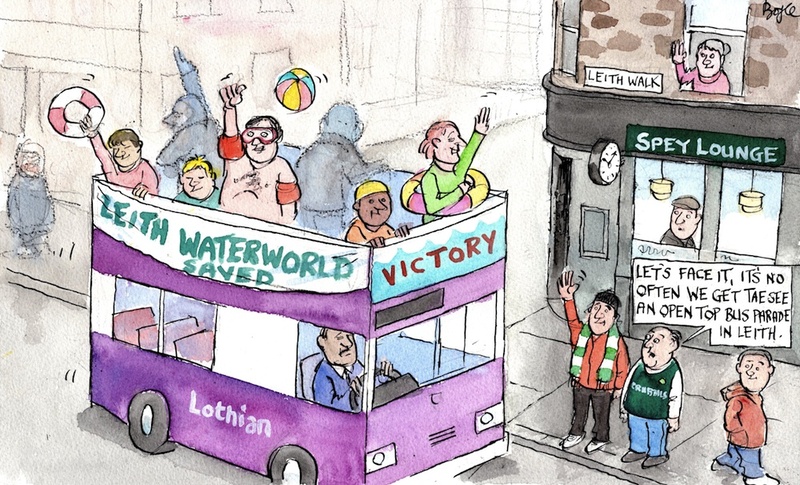 Last Thursday the City of Edinburgh Council agreed to work with us over the next 11 months to secure a future for Leith Waterworld. Obviously we are all elated - to get this far has been a huge amount of work, but we always believed that if we could articulate what Waterworld uniquely offered children, familes and the disabled across the city, AND show the depth of community support then we could get the Councillors on board. Listening to the Councillors in the Chamber last Thursday, we were delighted to hear that the pressing social case for reopening the pool is now recognised and that the 'value' of the amenity is understood as not just being the cost of keeping the facility open, but also all the benefits that reopening brings to the community - i.e. it's true 'value'. We knew that it was going to be a difficult decision for councillors to reject the officials report(which recommended rejecting our bid), but we believe it is the right decision. Now that the Councillors have endorsed our business plan, we can sit down with them and the officials, all with the same shared goal - how to reopen leith Waterworld. It has been a lot of hard work to get this far, and we know that there is a lot more hard work before we can reopen the facility - we need additional skills in governance, fundraising, pool operation and maintenance, engineering, heating, green energy, catering, etc.. - but now that we have this endorsement we can know gather the skills we need and work co-operatively to bring this fantastic facility back to life.